Conductor and Music Director Arnie Roth is a Grammy-winning artist known for his work with performers including Il Divo, Diana Ross, Jewel, The Irish Tenors, Charlotte Church, Peter Cetera, and Dennis DeYoung. Roth has conducted the London Symphony Orchestra, the National Symphony, the Atlanta Symphony, the Hollywood Bowl Philharmonic, the Los Angeles Philharmonic, the Dallas Symphony, the Houston Symphony, the BBC Symphony, the Czech National Chamber Orchestra, the San Francisco Symphony, the San Diego Symphony, the Winnipeg Symphony, the Joffrey Ballet of Chicago, the Detroit Symphony, the Ravinia Festival Orchestra, the Royal Stockholm Philharmonic Orchestra, the Tokyo Philharmonic and the Sydney Symphony. 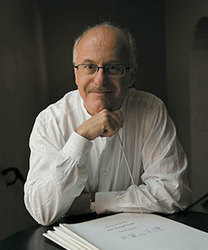 Roth is well known in the world of video game music for his work with Nobuo Uematsu and Square Enix as Music Director and Conductor of the Dear Friends: music from FINAL FANTASY, More Friends: music from FINAL FANTASY, VOICES: music from FINAL FANTASY, as well as his role as Music Director and Conductor of PLAY! A Video Game Symphony. He was the winner of the Best Score Award at the 2003 DVD Premier Awards for his score for the film Barbie as Rapunzel and was nominated for an Emmy in 2007 for his original song "Shine" from the movie Barbie in The Twelve Dancing Princesses. Roth has produced dozens of best selling CD's.